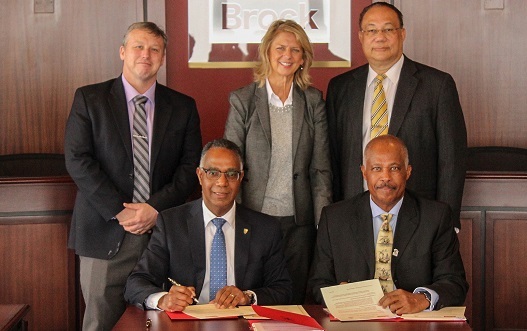 brock_uwi_mou_signing_26.jpg Professor Sir Hilary Beckles, Vice-Chancellor of The UWI (front right) and Gervan Fearon, President and Vice-Chancellor of Brock University, (front left) signed three agreements between the institutions alongside (back from left) James Mandigo, Brock’s Vice-Provost, Enrolment Management and International; Her Excellency Laurie Peters, Canada’s High Commissioner to Jamaica, Bahamas, Turks and Caicos, and Cayman Islands; and Richard Bernal, The UWI’s Pro-Vice-Chancellor for Global Affairs. 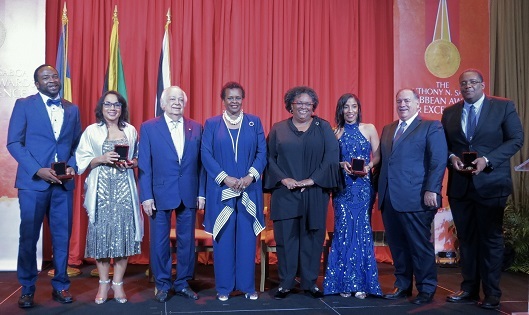 (L-R) ANSA Caribbean Awards for Excellence 2019 recipients: Corey Lane, Danielle Dieffenthaller,; Sir Shridath Ramphal; Dame Sandra Mason; Prime Minister of Barbados, the Hon. 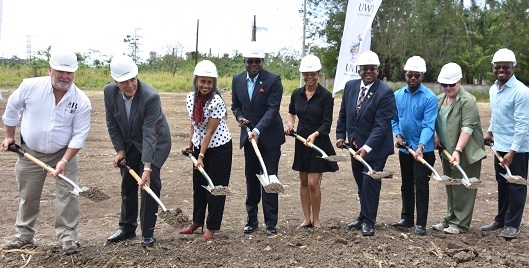 Photo 1: From left: Pro-Vice Chancellor and Principal of The UWI Mona Campus, Professor Dale Webber (6th from left) leads ceremonial turning of the soil at the Groundbreaking Ceremony on March 22, 2019 at Fairfield on Barnett Estate, signaling the commencement of construction of The UWI Mona’s new Western Jamaica Campus. 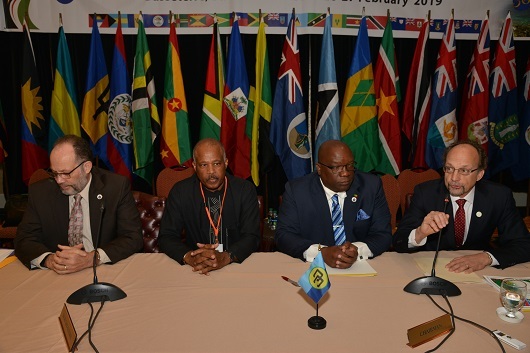 Joining him, (from left) are: Managing Director of Barnett Limited, Mr. Mark Kerr-Jarrett; Mayor of Montego Bay, His Worship, Councillor Homer Davis; Campus Registrar, Dr Camille Bell-Hutchinson; Member of Parliament for St James East Central and Minister of Tourism the Hon. 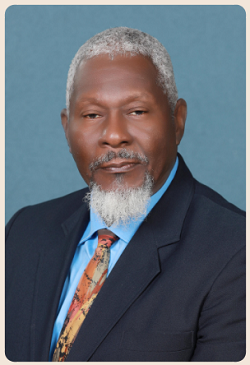 Edmund Bartlett; Member of Parliament for West Central St. James and Attorney General, the Hon. 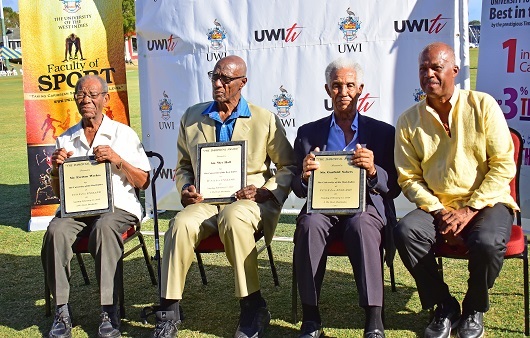 (L-R) John Lindo, Professor of Parasite Epidemiology in the Faculty of Medical Sciences, UWI Mona; Pro Vice-Chancellor and Principal of The UWI Mona Campus, Professor Dale Webber; Professor Robert Gallo, Director of the Institute of Human Virology (IHV) at the University of Maryland School of Medicine, and Dr Tomlin Paul, Dean of the Faculty Medical Sciences, UWI Mona. 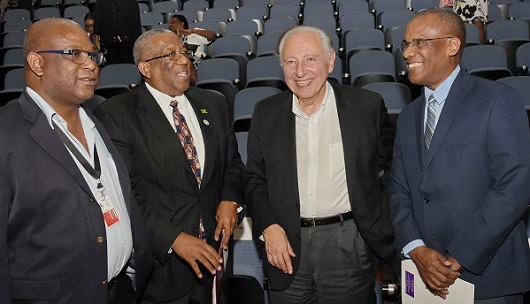 The men were conversing after Prof. Gallo’s lecture at the launch of an Affiliate Centre of Excellence in the Global Virus Network at The UWI, Mona Campus. 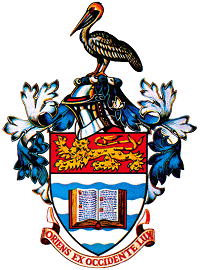 The University of the West Indies (The UWI) is pleased to share that the Government of Antigua and Barbuda is hosting the University’s Annual Meetings of its Technical Advisory Committees (TACs). Sir Wes Hall fully supports the idea of cricket academies being the “finishing schools” for cricketers with talent and technique. 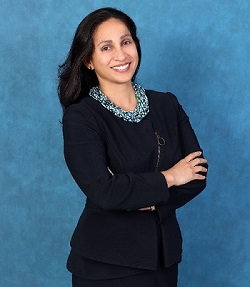 The University of the West Indies (The UWI) is pleased to announce the recent promotion of Thejani Rupika Delgoda to the rank of Professor. Thejani Rupika Delgoda is Professor of Biochemical Pharmacology and Pharmacognosy, and the Director of the Natural Products Institute in the Faculty of Science and Technology at The UWI Mona. 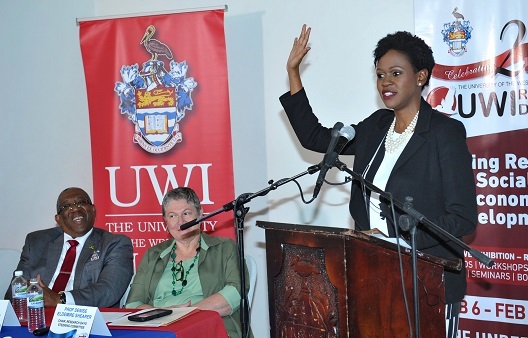 The University of the West Indies, Mona Campus wishes to advise that reports in a Jamaica News Network (JNN) newscast aired on Monday, February 4, 2019 was grossly inaccurate. 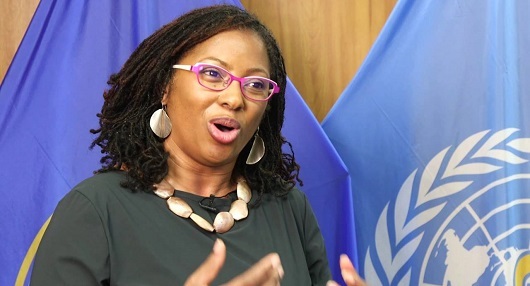 The JNN’s newscast alleged that the body of the late Dr. Judith Spencer, which was discovered in a pond on the Mona Campus, had multiple stab wounds and her throat slashed. Preliminary Police and Security reports reveal no signs of violence on or near the body of the deceased. The police investigators are awaiting the results of an autopsy to determine the cause of death. Kingston, Jamaica, Monday, February 4, 2019 – The UWI Mona has received an initial formal report on the incident regarding the discovery of the body of a female in a pond located on the Campus. 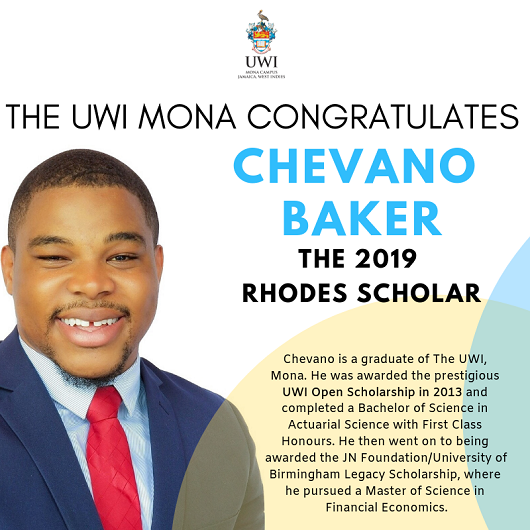 Preliminary investigations into the discovery, which was reported at approximately 7:45 a.m., have revealed that the deceased, a medical practitioner, was neither a student nor a staff member of The UWI Mona Campus. Kingston, Jamaica, Monday, February 4, 2019 – The Jamaica Constabulary Force (JCF) is currently conducting investigations into a situation at The University of the West Indies Mona in which the body of a female was discovered in a pond located on the Campus. The incident was reported at approximately 7:45 a.m. on Monday, February 4, 2019.